A question has been put forward to the Ministry of Natural Resource and Forestry and an appropriate response has been received – legal or not to Thank you for your inquiry regarding the use of roe as chum, initially posed to Conservation Officer Hart Hill, Owen Sound Area in October. Seeing as this inquiry relates to fisheries policy, your question was forwarded to me and I’m pleased to respond. Under the Ontario Fishery Regulations 2007 (section 28), (http://laws-lois.justice.gc.ca/eng/regulations/SOR-2007-237/FullText.html) individuals are prohibited from emptying bait, live baitfish or other contents of a bait bucket or other movable container into or within 30m of any waters. 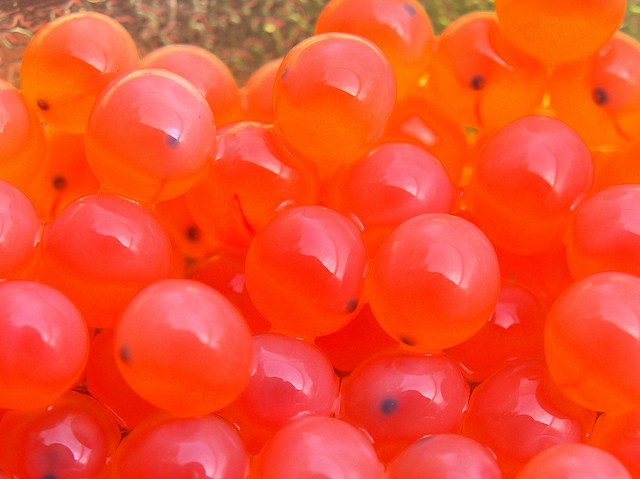 Given that the roe has been transported in a container of some sort it would be unlawful under this provision to dump it into the water for use as chum. These regulations are in place to reduce the introduction and establishment of invasive species or pathogens that can be transported with bait following misidentification or as a fellow-traveller in bait buckets.